Q: So how do you find the beginning capital or opening balance of equity to put in the statement of changes in owners equity? The opening balance of owners equity for one year is the closing balance for equity from the previous year . When a new year begins, the bookkeeper or accountant makes opening entries. These are all the accounts that are continuing from one year to the next. The opening balance of owners equity can be found by looking at the closing balance from the previous year. This can be found either in the statement of changes in equity from the previous year, or in the balance sheet from that year. So, for example, if the closing balance of owners equity for 2010 was $25,800, this would also be the opening balance of equity for 2011. This $25,800 would be inserted as the opening balance of equity in the statement of changes in equity for the year ended 2011. 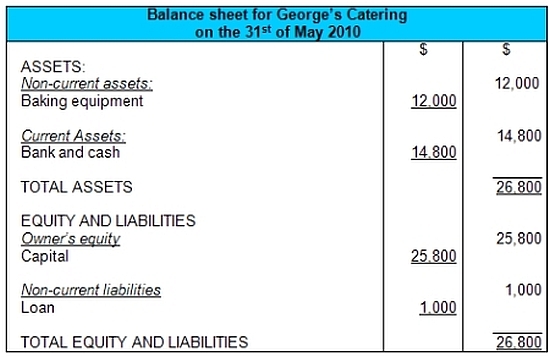 If you're studying accounting and come across a question or exercise about the statement of changes in equity, then the opening balance of equity is usually provided either as a note in the question itself or by providing the previous year's balance sheet .